Today, the fireplace has already ceased to be a vital heating structure and in most cases serves as an original element of the interior. However, the fireplace can still be considered as an additional source of heat, but only while it is burning. 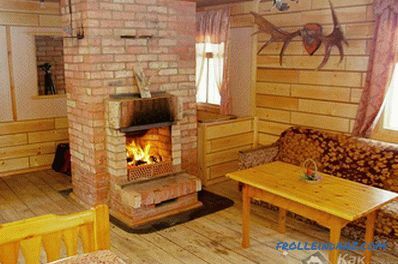 This is what determines, in the main, its location - summer houses and country houses, in which it is customary to install a fireplace in a large hall. 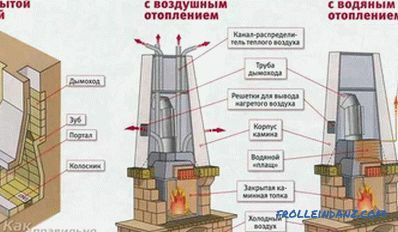 The device and the laying of the fireplace are a bit simpler than other foci (for example, stoves ) and therefore it is possible to make a small fireplace by yourself. 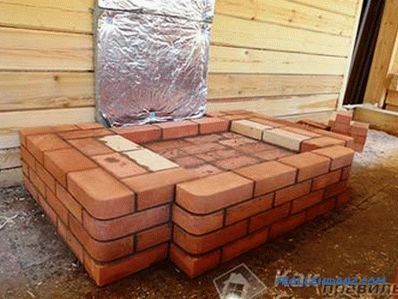 In the article we will tell how to lay the fireplace itself out of bricks. Before you start laying out the fireplace , it is worth deciding in what room you will do it. The minimum area of ​​the room required to ensure the normal operation of the fireplace (without cold drafts or excessive heating) is 20 square meters. meters The ratio of the opening area of ​​the fireplace firebox to the area of ​​the room should be in the range from 1:70 to 1:80. 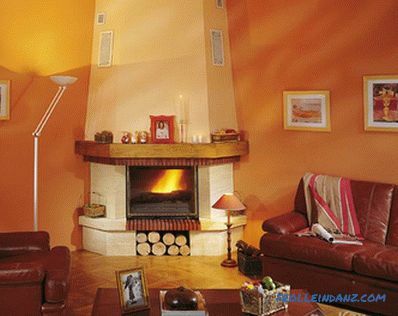 The most popular option is to set up a fireplace in the wall opening so that its back wall faces the adjoining room. If you lay out a fireplace near a partition made of combustible materials, you must pay attention to the observance of fire safety standards, that is, you must perform a vertical fire-fighting installation. 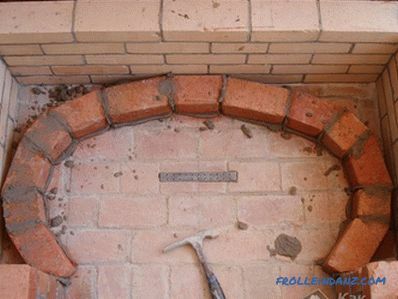 The next step is the selection of fireplace drawings that contain all masonry rows (if you are a beginner, then choose a simplified version that does not require complicated fitting bricks or putting them at an angle). stainless steel sheet on the screen. So as a fireplace, it must necessarily have its own foundation (not in contact with the foundation of the walls of the house), it must be completed in advance, no less than two weeks before the laying of the fireplace. 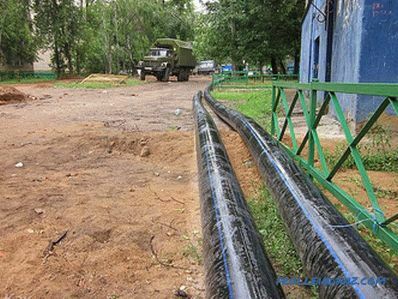 This will allow the foundation (the material of which can be not only reinforced concrete, but also rubble stone or brick) to gain the necessary strength. For a quarry, brick or rubble foundation, a cement-lime or cement mortar should have a grade not lower than 50. The foundation depth for the fireplace must be at least as deep as the soil freezes in your area, and the geometric dimensions of the foundation in the plan are strictly match the shape of the fireplace, taking into account the "allowance" of 50-100 mm on all sides. 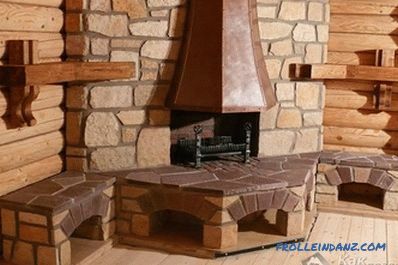 Before you make the foundation for a fireplace, you should make sure that when laying the chimney does not rest against the beams of the attic or truss system. We tear up the pit of the size you need given the fact that it will either install formwork (if the foundation is reinforced concrete), or work will be done on laying brick or large stones. The depth of the pit should be about 10 cm more than the depth of the foundation. Thoroughly tamp the bottom of the pit. We fill up small stones (gravel, crushed stone) about 10 cm thick at the bottom of the pit and tamp it down again. for butobeton - we poured a solution at the bottom of the pit (20-25 cm in height), sink stones into it (with a gap of 3 cm), put a smaller stone in between, then similarly perform the following rows of the foundation under the fireplace. When performing the upper part of the foundation (protruding above the ground), large stones can be used as a formwork, laid around the perimeter of the foundation. The foundation should not reach 14-15 centimeters to the level of a clean floor. 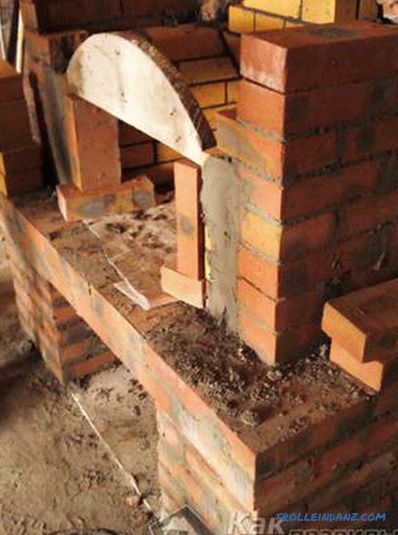 The upper surface of the foundation under the fireplace should be flat and strictly horizontal. On the top of the foundation, apply a cement-sand mortar with a layer of about 2 cm and lay a layer of brick on it. Check the horizontal surface. 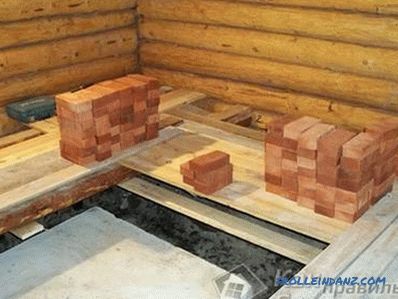 Apply a second layer of mortar and place another row of bricks. Lay on top two layers of roofing material (as waterproofing). 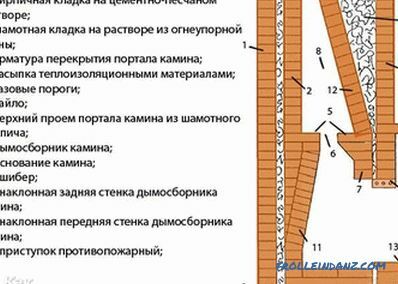 Arrangement of formwork Prepare a cement-clay-sand mortar for masonry fireplace: 8-9 parts of sand are taken for one part of cement (grade 150) volume), everything is mixed, after which the clay pulp (slip) is carefully added to the mixture. Consumption of sand and clay (by volume) is about the same. For masonry lintels, the cement and sand content changes to 1: 5 or 1: 6. It is not recommended to increase the cement content in the solution, since clay is still the main binder of the components in it. In exact accordance with your chosen pattern of masonry, proceed to laying out the fireplace. For its front surface, choose a brick of the same color, size, with right angles and edges. Make the seams strictly the same size, observing their verticality and horizontal position. Give the seams a shape (recessed or concave) with a jointing. Pay special attention to putting a symmetrical lintel over the fireplace opening (in some cases it is recommended to use formwork). So how to fold the fireplace for the very first time it is difficult, and sometimes the laying does not look beautiful, then you can plaster the finished fireplace. The chimney should be laid out on a clay mud solution, followed by plastering. In places of intersection with combustible elements of the overlap firebreak cutting is performed.